Dedicated Delivery combines the best of Ryder’s leasing and maintenance capabilities with the safest and most professional drivers in the industry, through innovative IT engineering for complete fleet optimisation. With changing demands and a growing driver shortage, delivering on time and efficiently is more challenging and costly than ever. Add to that rigorous transport and safety legislation and you could be spending more time thinking about your transportation network than your core business. At Ryder we recognise the burden of running any business which requires specific equipment and specialist skills to get a product delivered. 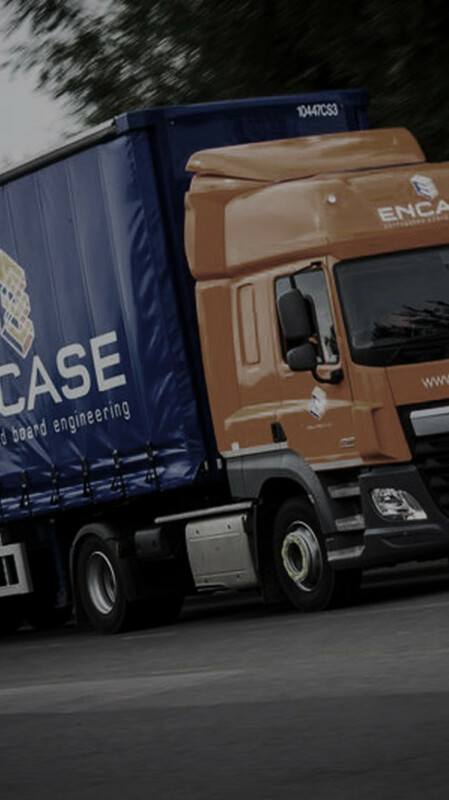 Encase faced some of the manufacturing industry's most difficult challenges, needing to improve efficiency whilst reducing costs to enable growth. Detailed KPIs tailored to Encase's requirements for daily review. Reduction in cost of operations per thousand square meters delivered year on year. Sleepeezee sought to achieve maximum efficiency to avoid excess stock and avoiding the need to operate warehouses with a just-in-time manufacturing model. Production of an optimised distribution plan to efficiently deliver Sleepeezee’s sales and factory production requirements utilising Ortec route planning and Microlise telematics. Increase in factory capacity without the necessity to open new production or warehouse facilities, thanks in part to the implementation of a highly responsive just-in-time operation. If you are interested in the management of drivers, optimising your fleet and/or the complete outsourcing of your transport requirements, fill in the form below and we will be in contact shortly.